Aikido is the ‘Way of Harmony’, a discipline which originated as a Japanese Budo which has become popular throughout the world with those who seek a better understanding and awareness of themselves and their relationship with others. The emphasis in aikido training is on non-competitive, co-operative and creative ways of learning principles that can be applied to daily life. Regular practice develops ‘calmness in action’ and the ability to relax when under stress. 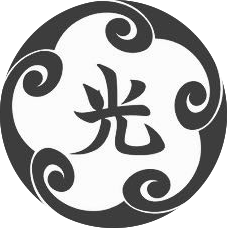 As a form of self-defence, aikido gives equal if not greater importance to the inner aspects of dealing with conflict, as it does to the purely physical, technical aspects. Training at Koshinkai Dojo is conducted in our dedicated Japanese-style space. We offer regular practice in a positive, safe and friendly environment. It is easy for beginner students to start aikido and they are welcome at our scheduled practice or can enrol in one of our Introduction to Aikido courses. The hierarchical system of grading is not emphasised, but recognition is given to those who have demonstrated a clear determination to develop themselves through regular training, and those who contribute to the work of the dojo. We feel it is important that grading should not become an end in itself, since aikido is not a competitive activity. 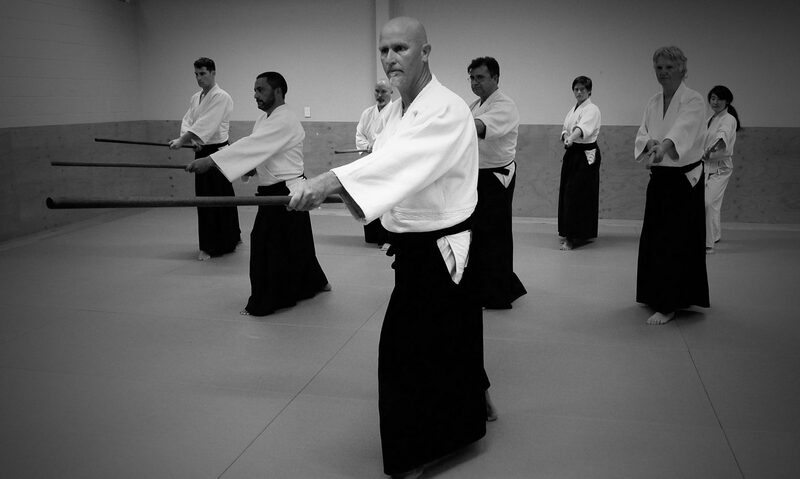 Aikido is fundamentally linked to the study of the sword. At Koshinkai, aiki weapons, such as bokken, jo and tanto are practised as well as open-handed techniques. An old Zen teaching tells of the archer who hits the target even in pitch darkness by closing his eyes and concentrating on his inner core, his essence. In the same way, aikido has both “inner” and “outer” aspects that must be kept in balance. Training includes Shinto-based exercises inspired by nature to help achieve this balance. A programme of Gasshuku (training camps) will also be posted here. A reduced timetable operates over the New Year holiday period and on public holidays. Koshinkai members regularly visit the Koru Dojo (above) in idyllic surroundings on the Coromandel Peninsula for gasshuku (training camps). This is an opportunity to train intensively away from the distractions of the city. Monthly A/P $52.50 – requires a $100 joining fee. Visiting aikidoka are welcome to train at the dojo – a mat fee of $10 per session. Introduction to aikido courses cost $60, which will be deducted from membership fees should a prospective member wish to join following the course. Monthly fees are to be made by automatic payment; six-monthly and for annual fees which are by cheque/cash. Once you have paid your membership you are entitled to train at as many of the training sessions as you can manage.